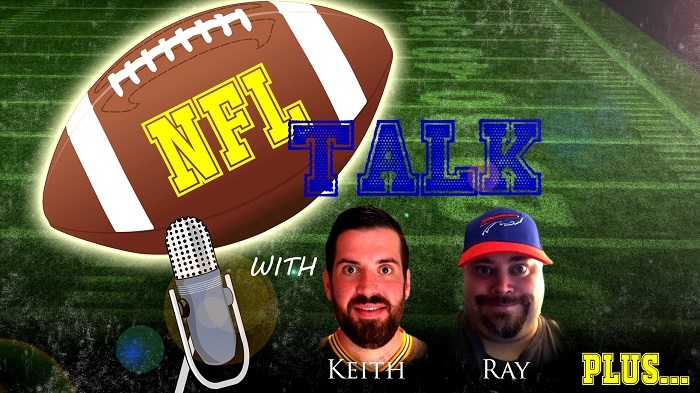 NFL Pick ‘Em Season 6 Week 17 – Alone With The Picks! Apologies for now episode last week. The holidays made it impossible to record as I was in a place with very spotty internet. The records have been kept, and we have all of them here for you. Listen to this week’s picks as I read ’em out for you. The end of the regular season is Sunday, and then we begin the 5 week journey to the Super Bowl. NFL Pick ‘Em Season 6 Week 15 – Late Quick Picks! Sorry this week’s show is so late folks. Work, life and the Christmas season have taken it’s toll on the podcaster’s three. However, here are all our picks for Week 15. Week 14 saw myself and Adam tie for the weekly win with a 10-6 record. I increased my overall lead to 5 games over 2nd place and hoping to end the season with a victory. So check out how fast I move through all the games, and at least get you are picks for this week… in fact, typing this out, might have taken longer than the recording. Hope you all have a great weekend and enjoy the show.